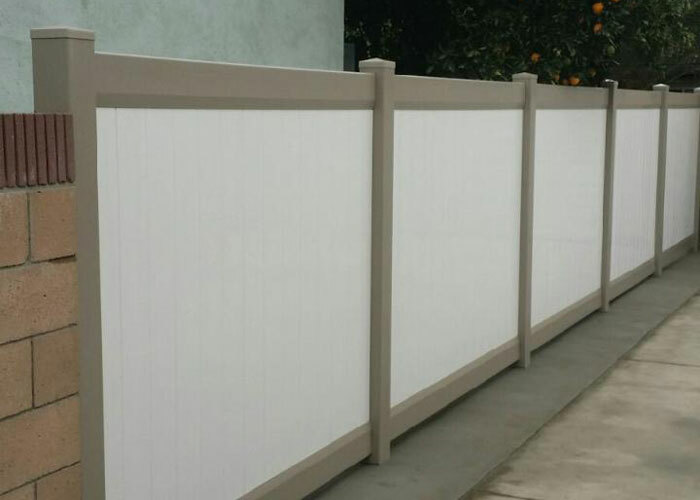 J&J Vinyl Fence specializes in providing San Pedro residential and business property owners with custom vinyl and aluminum fencing that is economical, versatile, and long-lasting. For over 35 years, we have expertly customized, fabricated, and installed fences for thousands of satisfied customers across Los Angeles County. Our family-owned and -operated fencing company strongly believes low-maintenance vinyl and aluminum offer the best investment in fencing because of their beauty, durability, and timelessness without the downsides of traditional fencing materials, such as wood or steel. 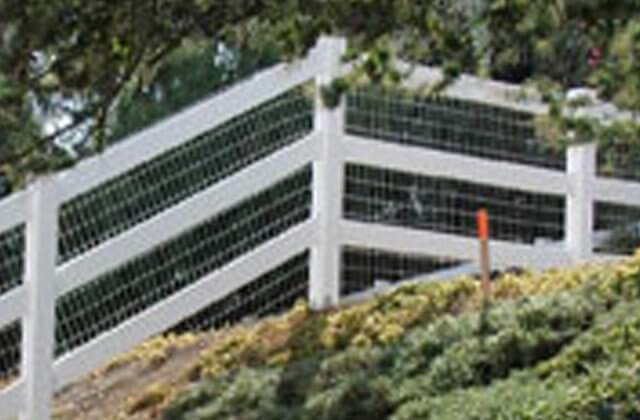 Our customized aluminum and vinyl fences are perfect for delineating, complimenting, and securing any residential or commercial space in San Pedro. Vinyl and aluminum fencing have the same appearance of traditional wooden or iron fencing, respectively, yet in the long run cost much less because they require none of the routine maintenance. Our vinyl fences are fully customizable, available in privacy, semi-privacy, picket, and ranch rail styles with a white, tan, or textured wood-grain finish. Aluminum fences can be fabricated in all the same styles as iron fencing, with your choice of manual or automated gate. Our aluminum and vinyl fences will never rot, peel, fade, flake, or blister, and will typically last decades longer than other materials. J&J Vinyl Fence is a licensed, bonded, and insured fencing company. We have long-standing relationships with trusted manufacturers who provide us with the highest quality materials and hardware and back our vinyl and aluminum with lifetime warranties. Find out why we are San Pedro's preferred fence contractors and call us today for a free estimate. First-time customers receive 10% off our fence construction and installations. Aluminum fencing emulates the look of steel and wrought-iron fencing, yet is virtually maintenance free, never requires paint touch-ups or updates, and costs less. At J&J Vinyl Fence, we will custom create a premium quality aluminum fence and matching aluminum gate for your San Pedro home or business to perfectly coincide with your security and design preferences. Whether you need spear top aluminum fencing with an automated access controlled gate or an aluminum privacy fence with a rolling gate to enclose the boundaries of your apartment complex pool, we have the fencing solutions for you at an affordable price. All of our aluminum fences and gates, including all hardware, are finished with a powder coating that adds to the lifespan of your fence. The powder coating finish is applied electrostatically, then heat cured to add an extra layer of protection and stability to the fence's structure. 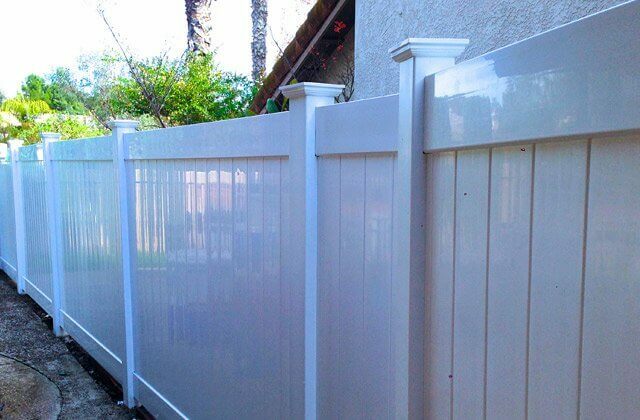 The elegant appearance and assured durability of J&J Vinyl Fence's custom aluminum fencing and gates make them the perfect enhancement to any home, pool, or commercial property in San Pedro. Call us today to learn more about our complimentary estimates and first-time customer discounts. Though vinyl ranch rail has been a resourceful alternative to wooden fencing for ranches, farms, and other properties containing livestock for many years, recently, the demand for vinyl ranch rail has expanded to fit a more diverse range of residential and commercial purposes throughout San Pedro. From enhancing the front yards of homes with a classicly rustic feel to delineating city sidewalks, the positives of vinyl ranch rail fencing accommodate the needs of endless varieties of property owners. 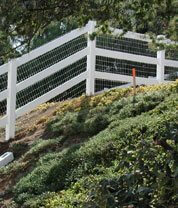 Our vinyl ranch rail fencing comes in one, two, three, or four rails across, or can feature crossbuck rails. They can be painted in your choice of smooth or wood grain finishes, and typically remain lovely and intact--without any maintenance--for over three decades. Call J&J Vinyl Fence now to speak with one of our friendly professionals about our complimentary estimates. First-time customers will receive a 10% discount off our already competitively priced services. 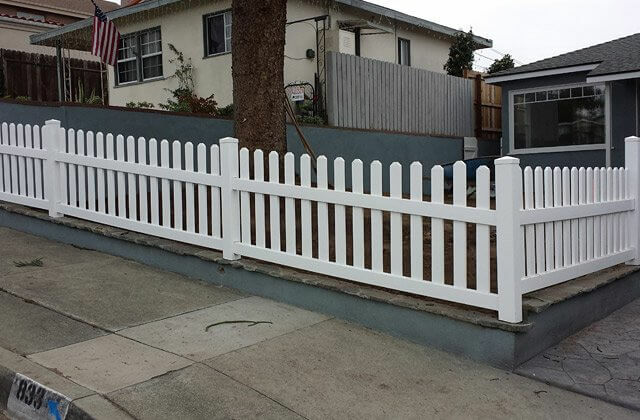 J&J Vinyl Fence has over 35 years of experience installing vinyl picket fencing to upgrade, protect, and define any San Pedro home or business. In accordance with vinyl's versatility as a material, our custom picket fencing works for a wide range of residential and commercial properties, from suburban homes to school nurseries. 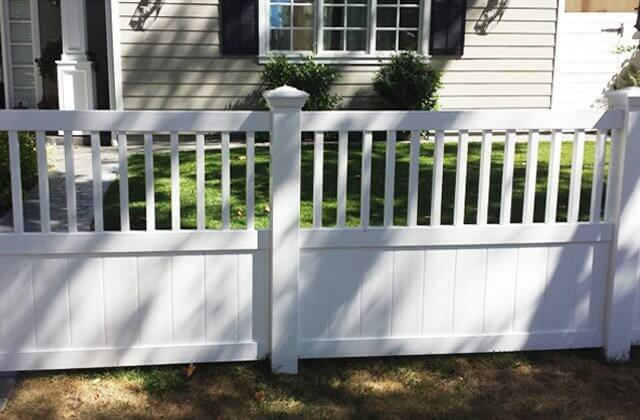 When we build your vinyl picket fence, we custom cut each piece until it's completely symmetrical, taking care to satisfy all architectural and privacy requirements, as well as the topography and building codes of your property. For a free estimate on-site or over the phone, call J&J Vinyl Fence today. If you're a first-time customer, you'll receive a 10% discount. 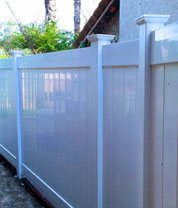 At J&J Vinyl Fence, we offer custom San Pedro home and business owners vinyl semi-privacy fencing to secure and enhance your property. Vinyl semi-privacy fencing closely resembles the look of wood fencing without any of the downsides or defects associated with real wood. This type of fence can be combined with any automated or manual gate and feature any post-cap design. As an authorized dealer of ActiveYards® fencing materials, we paint all of our vinyl semi-privacy fences with ActiveYard®'s SolarGuard™ paint in your choice of white, tan, or a textured wood-grain finish. SolarGuard™ paint's exclusive retention capabilities ensure that your fence will uphold its like-new appearance years longer than the average wood fence without ever peeling, rotting, cracking, chipping, or fading. Let the fencing professionals of J&J Vinyl Fence build you a vinyl semi-privacy fence you can rely on. Call us now to learn more about our vinyl fencing services. We provide free on-site consultations in San Pedro, in addition to a 10% discount for first-time clients. With over 35 years of experience in the fencing industry, our highly experienced fencing specialists know how to comprehend your fencing visions and translate them into a fence and gate that directly matches the architecture, privacy levels, design, and size of fence you've always wanted. Vinyl privacy fencing is a viable fencing solution for a variety of residential and commercial applications, including gardens, schoolyards, businesses, apartment complexes, and homes throughout San Pedro. It provides security and privacy, yet is charming, low maintenance, and highly durable. 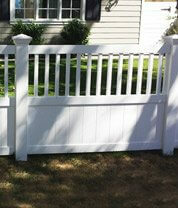 At J&J Vinyl Fence, our patronage is the livelihood of our business. We pledge to customize and install only premium quality fences that exceed expectations and coincide with budget and time constraints. All of our vinyl fences come backed with a transferable limited lifetime warranty. Call J&J Vinyl Fence today for a complimentary estimate. First-time customers receive a 10% discount. 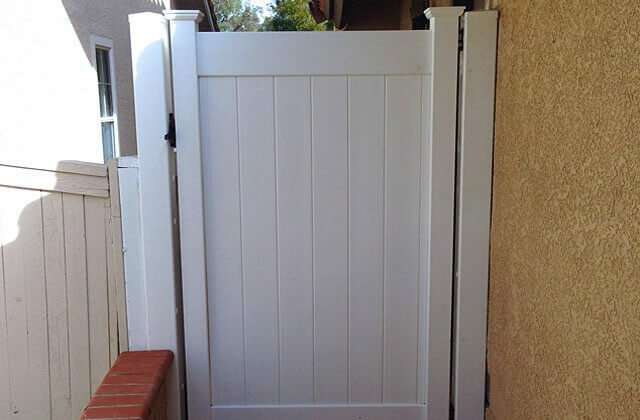 Since 1978, J&J Vinyl Fence has built and installed thousands of beautiful, cost-effective vinyl gates for its customers in San Pedro and other Los Angeles cities. We provide a diverse range of vinyl gates which we are able to construct in any variation. 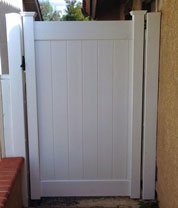 We customize and install privacy, semi privacy, picket, ranch rail, and arbored vinyl gates in white, tan, or a textured wood-grain finish. We are highly experienced in installing both manual and automated vinyl gates, which feature high-quality materials and hardware. To convert a manual vinyl gate into an automatic one, our in-house electrician expertly installs and programs a state-of-the-art access control system to allow entry from a keypad, key card, or Smart device. He can also install motorized sliding gates, driveway gates, roll up doors, and underground parking overhead gates to allow monitored and convenient entrance and exit. We carry the most requested brands of gate operators, including Viking Access, Elite Gates, LiftMaster, DoorKing, and All-O-Matic. All of the motorized gates, electronic access systems, and manual gates we install in San Pedro come with manufacturer-issued warranties. Call today for a free on-site consultation and price estimate. 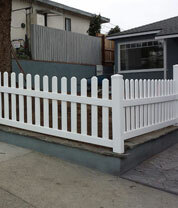 This is a two toned vinyl privacy fence we installed in South Gate, CA. It has adobe colored posts, adobe colored top and bottom panels, and white wood grain boards.